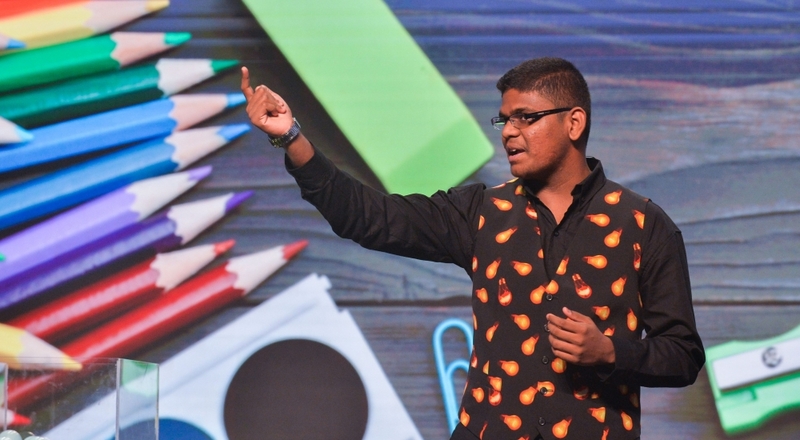 Malaysian ‘human calculator’ Yaashwin Sarawanan finished second in the finals of Asia’s Got Talent 2019 competition on Thursday (Apr 11, 2019) night, New Straits Times reported. “It was beyond my expectations to be in the top two. From 200 acts, it narrowed down to nine, and today, I was left with Chien,” Yaashwin, 15, told Bernama and Harian Metro when met after the Results Show here. As the top two, Yaashwin had to do a closing performance and chose a “Back to Skool” theme, in which he requested the involvement of all the three judges – David Foster, Anggun Cipta Sasmi and Jay Park – on the stage with him. He improvised his grand finals act called “calendar problem” where he was able to identify the exact day of a particular event by “calculating” the date, month and year in the calendar. As the winner of Asia’s Got Talent, Eric Chien, who recently won the Close-up Magic category of Fédération Internationale des Sociétés Magiques, aka the World Championships of Magic, received a grand prize of US$100,000.